It’s always a stressful experience being in a bad accident. You may have been injured, and now you have to deal with having your car fixed too. Did you know that your auto body shop can be your best resource for getting your vehicle repaired? They can’t take the lengthy process away, but they can certainly make it easier for you. One of the best resources that you can benefit from is by allowing your auto body shop to communicate directly with your insurance company. This may involve the signing of a privacy form, but it can free up your time, so that you can recover from injuries sustained from a car accident. 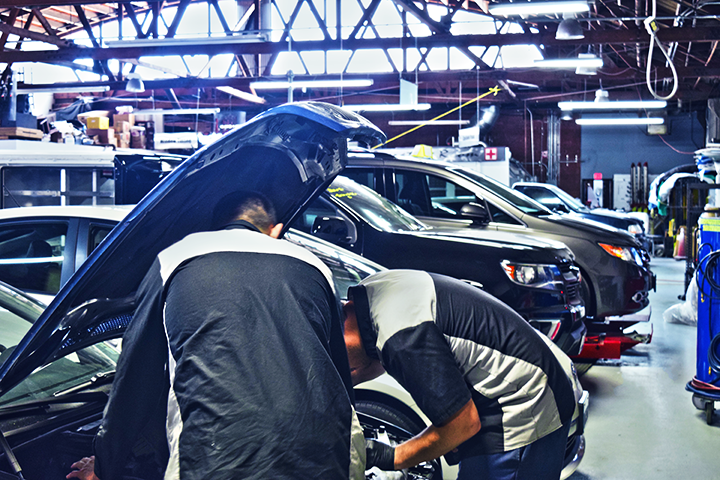 Not only is your time freed up, as you don’t have to handle the intricacies of the auto body repair, but the auto body shop can communicate directly with the insurance company. This has the additional benefit of making the process go a lot smoother. Since the middle man is eliminated, and you won’t have to go back and forth between the auto body shop and the insurance company, you will save time. You may even save yourself some headaches too. It’s estimated that auto body repairs are needed once every seven years for the average vehicle. This may not include only damage caused by accidents, but from damage sustained by weather, by wear and tear and even by vandalism. If it’s been some time since you have gone through an insurance claims process, you may find that it has changed considerably over the years. It may even change on a yearly basis. So what you expect from when you had to deal with it many years ago, may not be what you can expect today. But don’t worry, as most auto body shops have a good working relationship with most auto insurance carriers. This has the additional benefit of making your auto claim go more smoothly. While you may be frustrated that it may seem like it’s taking forever, you’ll have to be patient and trust that the claims process is following the schedule it needs. Insurance companies can often only be reached during weekday hours, which doesn’t align with your schedule. You may have already recovered from injuries and returned to work. Hopefully you have an understanding employer, but most don’t like their employees to spend hours on the telephone with personal calls, or in your situation, hours on the telephone with the insurance company. The auto body shop already works regular hours, so it’s convenient to them to talk to your insurance company too. Our auto body shop has been in business for 20 years, and we possess the resources to help make your auto body claim go smoother than if you simply handled all the details yourself. We can also ensure that the claim goes faster, and saves you more time than if you decided to tackle it all yourself. Let our professionalism and quality auto body services help you in the moment of your need.